This week, Governor Doug Ducey told a Valley radio station that 100% of proposed “new spending” in his education budget next school year could go towards teacher raises. The governor’s own proposal significantly contradicts that claim. PHOENIX – This week, Governor Doug Ducey suggested to a Valley radio station that school superintendents will have wide latitude to provide teachers substantial raises in the next school year’s budget. Ducey stated that “100 percent” of proposed “new spending” in his education budget next school year, an amount equal to $400 million, could go toward teacher raises. 12 News can Verify this statement by Governor Ducey is False. It follows a pattern of other misleading statements by Ducey regarding the ability of superintendents to give big raises to teachers. As 12 News has previously reported, Ducey claimed in April 2017, without evidence, that there was “the potential” for superintendents to give teachers $10,000 raises. Just last November, Ducey appeared to go a step further by making an unsupported claim that some teachers had personally told him they had received $10,000 raises since the passage of Proposition 123. Ducey had suggested it was up to superintendents to make the math work. 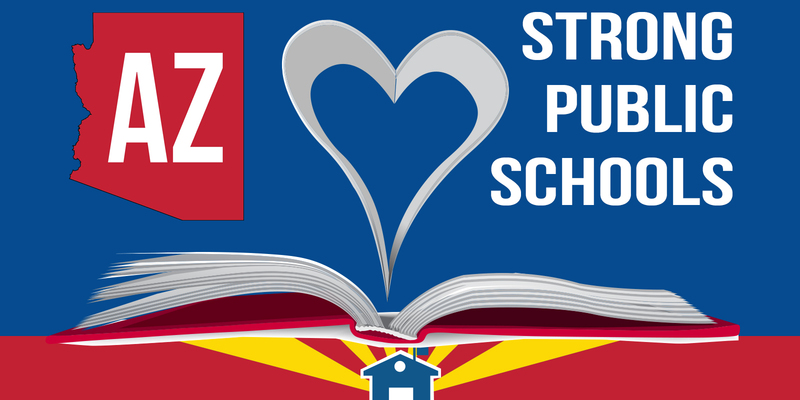 “Technically saying that districts can use $400 million for teacher salaries is false,” said Heigi Vega, Director of Communications for the Arizona School Boards Association. Vega says more than half of the money outlined is completely unrelated to salary increases. “Of that $400 million, we identify $221.2 million that is committed to specific purposes and therefore not available for statewide salary increases,” Vega wrote in an email to 12 News. Another category is labeled $100 million dollars of “additional assistance.” It gives superintendents more flexibility. “Districts could theoretically give all of this money to their existing teachers if they ignored every other need they have,” Vega wrote. “But once again, we have a teacher shortage. Any of this money districts use to hire additional teachers to reduce class sizes or relieve workload on their current teachers will not show up as raises. There is also a shortage of school counselors, deferred maintenance issues, aging school buses, etc. etc. Another large portion of the proposed spending is $116 million labeled as “student growth and inflation.” Most of that money ($84 million) is expected to go to charter schools because they are growing faster than traditional districts, Vega said. $34 million is guaranteed to provide permanent raises for teachers. It is equal to 1 percent or about $500 for the average teacher salary. A spokesperson for the Arizona Department of Education also reviewed the $400 million proposal and Ducey’s claim. “Those bottom two quadrants (additional assistance and student growth and inflation) could conceivably be used towards teacher salaries. Obviously the 34 million goes to that. Those are the funds I would say could conceivably be used,” said Stefan Swiat, public information officer for the Arizona Department of Education. Scarpinato pushed back on the idea superintendents didn’t have much leeway to provide raises. A Valley-area children’s advocate called Ducey’s latest claim deceptive. “It’s also dangerous for our students and our schools who are waiting for a real financial plan,” said Dana Wolfe Naimark, president and CEO of the nonprofit Children’s Action Alliance. “The reason that cannot all be spent on teacher raises is that schools have leaky roofs, they have broken down school buses, they have higher costs for school supplies and health insurance. There are a lot of other holes we have dug for schools that the money needs to fill as well. Naimark says the current proposal is $952 million short of the fiscal year operational budget compared to where the state was in 2008. “I think the governor thinks he can fool teachers and voters. We’re paying attention. Teachers are paying attention. And we need a plan,” Naimark said.